The Borough Councillors who represent Horley on the Reigate & Banstead Borough Council have a big influence over the management and development of Horley. Their contact details are listed below. We encourage you to engage with them and discuss the things that concern you. 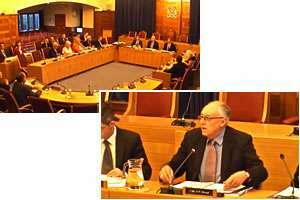 Did you know that you can see webcasts of the Borough Council meetings? Many people are interested in local democracy and the issues that affect them, but don’t always have the time or opportunity to attend meetings in person. Webcasting the Reigate & Banstead Borough Council meetings is one of the ways in which the Council can engage with residents. The webcasts allow you to follow meetings live in your home, or to watch them online afterwards. This means that you can see how committees work, find out more about what is happening in your area and understand how decisions get made. The Council webcasts its meetings of Council, the Executive and Planning Committee. Click here to visit the webcast page. Below is the current list of the borough councillors for Horley. If you see any errors in this information please let us know via our contact form. Click here the see the full list of Reigate & Banstead councillors.